God bless MGoBlue dot com and their non-embeddable video player. 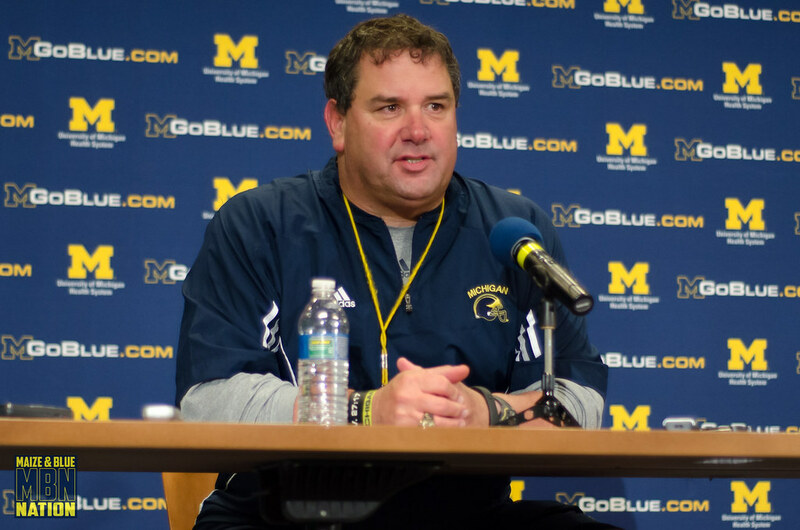 Hoke's presser can be viewed here. • Dennis Norfleet is no longer a running back, or defensive back, or never really either of those. He's now a slot receiver. So, there's that. • It's all walk-throughs and conditioning at this point. Helmets and shoulder pads on Wednesday, then full contact on Friday. Hoke likes how well this team can practice with no pads on, which is not always easy to keep guys focused, apparently. • Fitz is back at 100%. So much so that he gave the UM beat writers their first headline of fall camp when he announced that he plans to be the starting running back on August 31st. Clearly, he's feeling the pressure. • Blake Countess is also 100%. • Chris Wormley, who's about a year removed from his surgery last year, is also back and practicing at full-speed. Has been since the spring. • Jake Ryan worked out with trainers doing running drills. He also spends time coaching up the younger guys. No contact planned at this time. • The battle for backup QB is on. Shane and Brian are vying for snaps. It's a long fall camp when it comes to QB battles, though. Everything is being evaluated at this point. • Cornerback competition is "hot and heavy". • Rule changes are being discussed with guys in camp. Helmet-to-helmet hits are an emphasis this year as NCAA refs will be visiting camp to go over these rules with players (which is normal every year). They also referee scrimmages in simulated game atmospheres.